Bearded scorpionfish (Scorpaenopsis barbatus) next to soft coral. 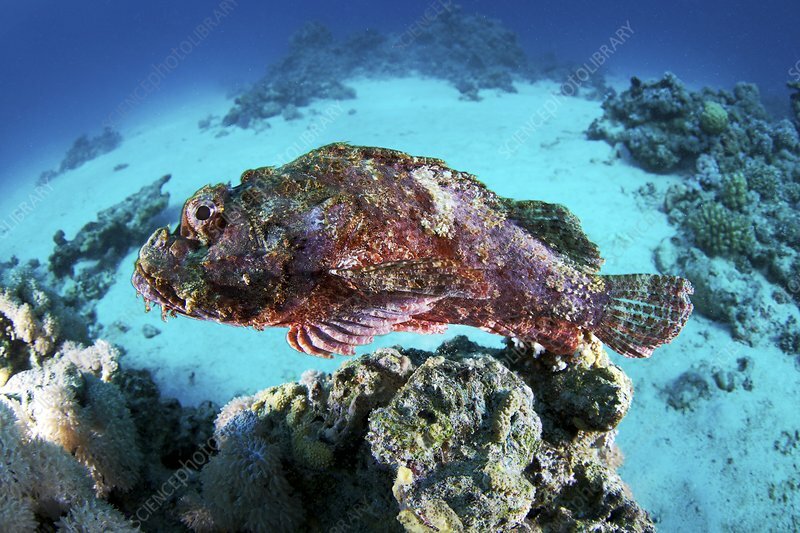 Scorpionfish are bottom-dwelling fish which have the ability to change their colouration to suit their substrate. Camouflaged against rocks or coral, they are able to surprise unsuspecting prey.